Price: 99¢ (as of 12/31/2016 at 8:00 PM ET). Price: $1.99 (as of 12/31/2016 at 7:00 PM ET). 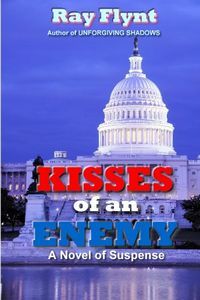 See all twelve titles in the Jack Swyteck Series for $9.99 or less each on Kindle. Jack Swyteck, a brilliant Miami defense attorney has spent years rebelling against his father, Harry, now Florida's governor. Their estrangement seems complete when Harry allows one of Jack's clients — a man Jack believes is innocent — to die in the electric chair. 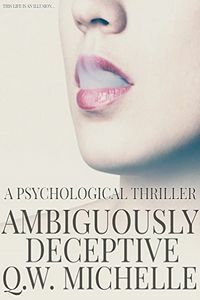 But when a psychopath bent on serving his own twisted version of justice places both Jack and Harry in extreme jeopardy, the two have nowhere to turn but to each other. Together they must find a way to overcome their cunning tormentor's manipulation … even as the stakes are being raised to far more perilous heights. Omnimystery News is pleased to present a mystery, suspense, or thriller ebook that we recently found by sleuthing (as it were) through new or recently reissued titles from independent publishers during December 2016 and priced $5.99 or less. Price: $2.99 (as of 12/31/2016 at 6:30 PM ET). 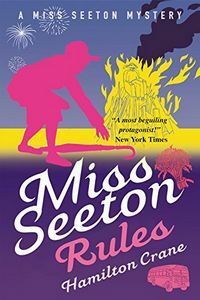 See all eighteen mysteries in the Miss Seeton Series for $2.99 or less each on Kindle. A heart-shaped face, sapphire blue eyes and golden curls — everyone's favorite royal, Princess Georgina, is in Kent to open the new Dungeness power station — excitement in the nearby villages of Plummergen and Murreystone is generating almost as much energy as a nuclear reaction. Price: 99¢ (as of 12/31/2016 at 6:00 PM ET). See all three titles in the Women of Vegas Series for $4.99 or less each on Kindle. Price: $2.99 (as of 12/31/2016 at 5:30 PM ET). 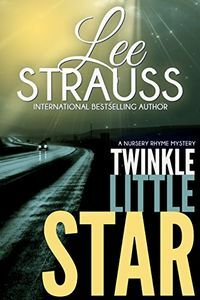 See all four titles in the Nursery Rhyme Suspense Series for $3.99 or less each on Kindle. Price: 99¢ (as of 12/31/2016 at 5:00 PM ET). But unfortunately for Marlee, Oriole Point is muddled with secrets of its own. 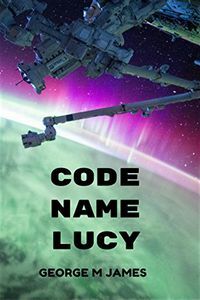 First her friend Natasha disappears after an ominous dream. Next the seediest man in town threatens to crush her business. Then an unknown person nearly kills her on the night of the Bash. When she discovers a dead body while searching for Natasha, Marlee realizes she'll have to foil a killer's plot herself — before the past permanently stains her future. Price: 99¢ (as of 12/31/2016 at 4:30 PM ET). 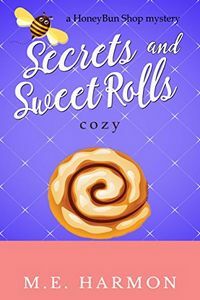 See all three cozy mysteries in the Mexican Café Series for 99¢ each on Kindle. Mari Ramirez has enough on her plate running her family's restaurant and tending to a lively bulldog named Tabasco. 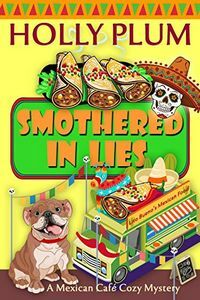 But when her brother's food truck becomes the center of a murder investigation, Mari finds herself in the company of two archeologists searching for a lost legend. 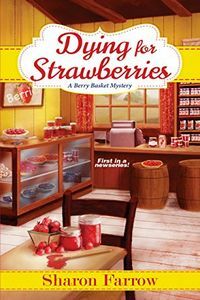 A missing field journal, a break-in at the restaurant, and a second murder attempt all lead Mari on a hunt for missing treasure. With a killer on the lose will Mari discover the truth in time? Or will she end up smothered like her restaurant's most popular burrito? Price: 99¢ (as of 12/31/2016 at 4:00 PM ET). See also the second mystery in this series, The Devil Wears Tank Tops, for $2.99 on Kindle. The police rule Chelsea's death an accident, but Kate suspects there's more to the story — and she's not the only one. 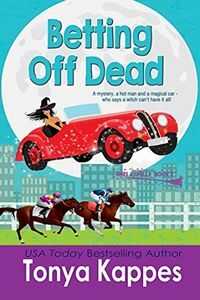 Two of Branson's most eligible bachelors are determined to help her solve the crime — among other things. But the small town social network is faster than Twitter, and gossip about Kate's love-life is quickly branding her the Branson Falls hussy. As Kate learns more about Chelsea, she discovers that plenty of people are trying to cover up the real story behind the girl's death — including Chelsea's parents. 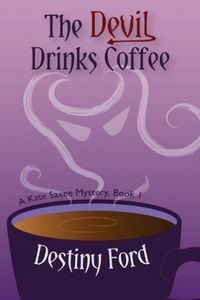 Now Kate has to juggle work, men, her mom's most recent disaster involving a low-speed John Deere Combine chase on the freeway, and fend off the Mormons heaven-bent on saving her soul — all while solving Chelsea's murder. Dealing with this is going to require a lot of coffee, chocolate frosted donuts, Neil Diamond's greatest hits, and a slew of words not on the town approved imitation swear list. Price: 99¢ (as of 12/31/2016 at 3:00 PM ET). 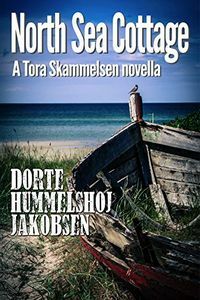 See all four titles in the Tora Skammelsen Mystery Series for $1.99 or less each on Kindle. Good deeds build good character, and good character is what the Haverleigh School for Young Ladies is all about. Lady Phoebe — with the tireless assistance of Eva — has organized a luncheon at the school to benefit wounded veterans of the Great War, encouraging the students to participate in the cooking and the baking. 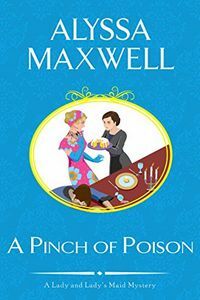 But too many cooks do more than spoil the broth — they add up to a recipe for disaster when the school's headmistress, Miss Finch, is poisoned. The girls at Haverleigh all come from highly respected families, none of whom will countenance their darling daughters being harassed like common criminals by the local police. So Lady Phoebe steps in to handle the wealthy young debutantes with tact and discretion, while Eva cozies up to the staff. Did one of the girls resent the headmistress enough to do her in? Did a teacher bear a grudge? What about the school nurse, clearly shell shocked from her service in the war? No one is above suspicion, not even members of the school's governing body, some of whom objected to Miss Finch's "modern" methods. But Lady Phoebe and Eva will have to sleuth with great stealth — or the cornered killer may try to teach someone else a lethal lesson. 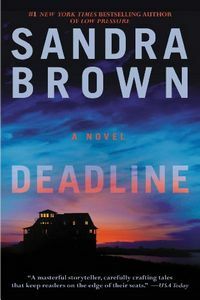 For a list of more new hardcover titles to be published this month, visit our New Mysteries page for December 2016. For new paperback titles, visit The Mystery Bookshelf where a selection of December 2016 mysteries, novels of suspense, and thrillers are shelved. Price: 99¢ (as of 12/31/2016 at 1:00 PM ET). See all three books in the popular Spies and Spells Series for 99¢ each on Kindle. Price: $3.99 (as of 12/31/2016 at 12:30 PM ET). 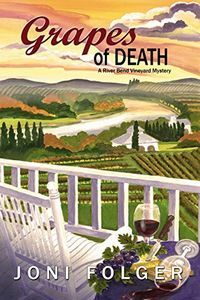 When Elise Beckett's long-distance beau, Stuart, offers her a dream job in organic horticulture research, she's torn between the opportunity of a lifetime and her responsibilities at her family's River Bend vineyard. 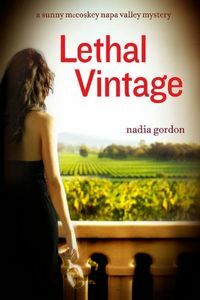 But before Elise has time to make her decision, Uncle Edmond — the family's money-loving and temper-toting black sheep — is found dead on vineyard land. What seems to be an accidental drowning proves to be murder, and every Beckett, even Elise, is a suspect. Sheriff's Deputy Jackson Landry must catch Edmond's killer, and Elise is determined to help him — whither he wants her to or not. Delving deeper into the mystery, Jackson and Elise become tangled in a long vine of suspects and dark secrets. 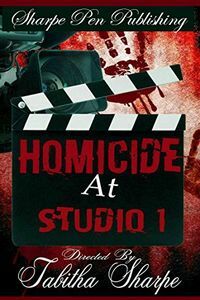 Now a race is on for them to stop the deadly plot before the murderer claims another victim. Ten people, each with something to hide and something to fear, are invited to a lonely mansion on Indian Island by a host who, surprisingly, fails to appear. On the island they are cut off from everything but each other and the inescapable shadows of their own past lives. One by one, the guests share the darkest secrets of their wicked pasts. 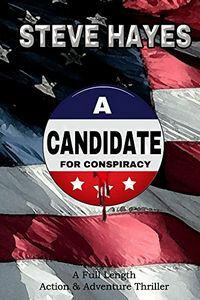 Soon, Dawson is covering the disappearance and presumed murder of former Marine Jeremy Wesson, the biological son of the pair of terrorists who remain on the FBI's Most Wanted list. 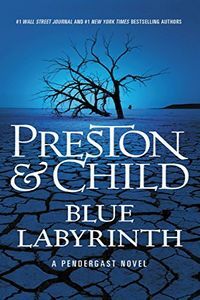 As Dawson delves into the story, he finds himself developing feelings for Wesson's ex-wife, Amelia, and her two young sons. But when Amelia's nanny turns up dead, the case takes a stunning new turn, with Dawson himself becoming a suspect. Haunted by his own demons, Dawson takes up the chase for the notorious outlaws … and the secret, startling truth about himself. This is a repeat freebie that was last featured on our site on December 31, 2016. Price: $1.99 (as of 12/30/2016 at 8:00 PM ET). 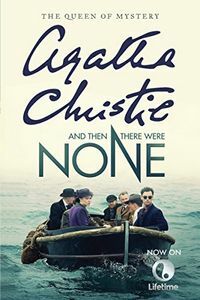 Hercule Poirot's quiet supper in a London coffeehouse is interrupted when a young woman confides to him that she is about to be murdered. 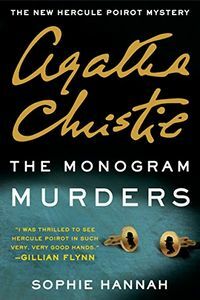 She is terrified — but begs Poirot not to find and punish her killer. Once she is dead, she insists, justice will have been done. Price: $2.99 (as of 12/30/2016 at 7:00 PM ET). A decadent day of poolside sunbathing turns into a scandalous night — culminating in murder. 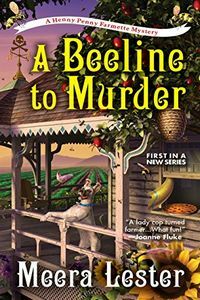 By morning, the police are pounding on Sunny McCloskey's door, and she is once again thrust into the center of a tense investigation involving a hedge-fund billionaire with a spectacular estate in California's Napa Valley. Price: 99¢ (as of 12/30/2016 at 6:30 PM ET). 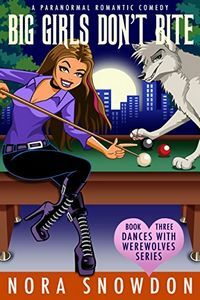 See all three books in the Dances with Werewolves Series for 99¢ each on Kindle. After a lifetime of rebelling against her controlling mother and over-protective werewolf family in general, Anna is shocked to find herself falling for a man her mother might actually approve of. Well, if only he wasn't a human. And the fact that he has a weird genetic problem that could kill him if she "accidentally" bites him doesn't help matters. Ericson knows with his shady past, he should lay low. After his brother was murdered, he'd vowed not to put anyone else he loved in danger. Despite his best intentions, Anna Colbert somehow gets under his skin. Apparently with a woman like Anna, resistance is futile. Price: $1.99 (as of 12/30/2016 at 6:00 PM ET). When pyschotherapist Helen Brunswick is murdered in her Park Slope office, the entire city suspects her estranged husband — until the District Attorney's office receives an anonymous letter. The letter's author knows a chilling detail that police have kept secret: the victim's bones were broken after she was killed. Her injuries were eerily similar to the signature used twenty years earlier by Anthony Amaro, a serial killer serving a life sentence for his crimes. Now, Amaro is asking to be released from prison, arguing that he was wrongly convicted, and that the true killer is still on the loose. NYPD Detectives Ellie Hatcher and JJ Rogan are tapped as the "fresh look" team to reassess the original investigation that led to Amaro's conviction. 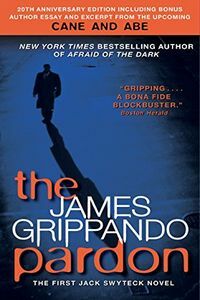 The case pits them against both their fellow officers and a hard-charging celebrity defense lawyer with a young associate named Carrie Blank, whose older sister was one of Amaro's victims. 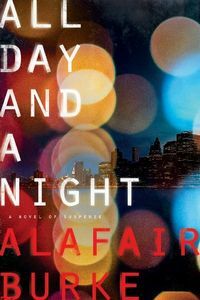 As both the NYPD and Amaro's legal team search for certainty in years of conflicting evidence, their investigations take them back to Carrie's hometown and secrets left behind there. And when Carrie falls victim to a brutal attack, Hatcher knows that the young attorney got too close to the truth.